Water density number is 1000 kg /M3. We work with mass and atmospheric pressure, and work the equation backwards, to get the SG of water. Specific Gravity (SG) is the ratio of the density of a substance to the density of water. When water freezes it has slightly less mass. Wort density is different as it contains more sugar and other molecules. Each distiller has a requirement for the density of Wort in their production cycle. They have parameter figures and each time the wort is measured it must fall within these parameters. To find the density we divide the Wort density by the measurement of water density. An average figure maybe 1060 kg/M3. In a distillery the gravity of Wort is usually called the OG – the original gravity. 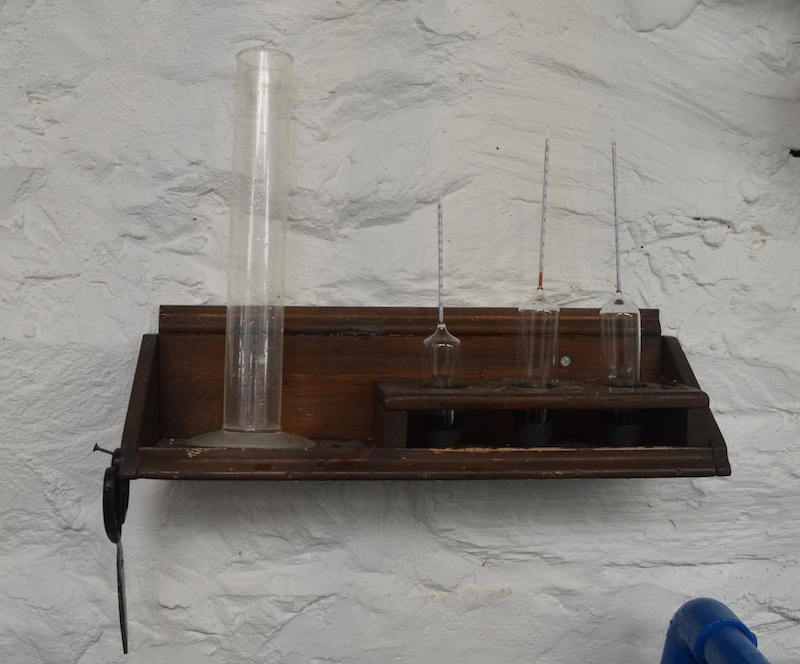 As the fermentation goes on we constantly measure wort density by using hydrometers – as seen in picture from Kilchoman Distillery. We use these figures to tell us the percentage of alcohol being created in the washbacks. From this measurement we are double checking how the yeast is working, what time is left for fermenting and numerous other facts.